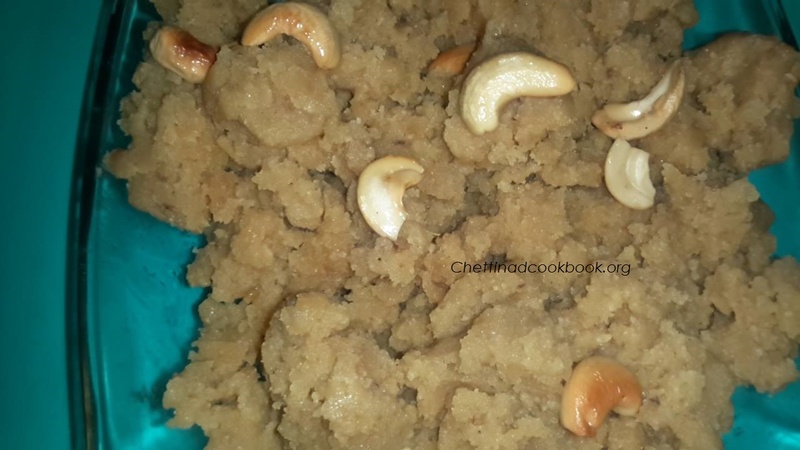 Chettinad special Ukra is a delightful sweet served in most of the functions and marriages.My sister is an expert in making this dish,I learnt this recipe from her it came out well at my first attempt itself.Dal and rice fried in to golden yellow in ghee gives great taste and aroma. 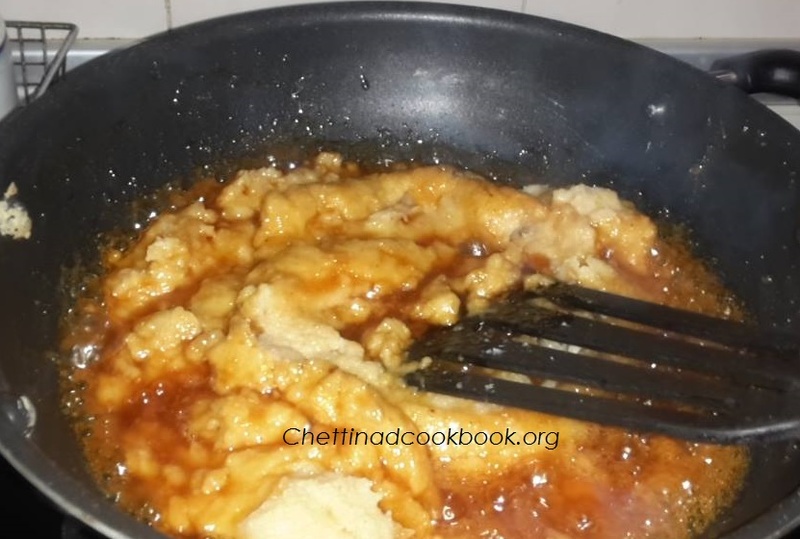 1.In a vessel, heat 1/2 cup of water, dissolve jaggery filter it through a stainless steel filter to remove impurities,keep it a side. 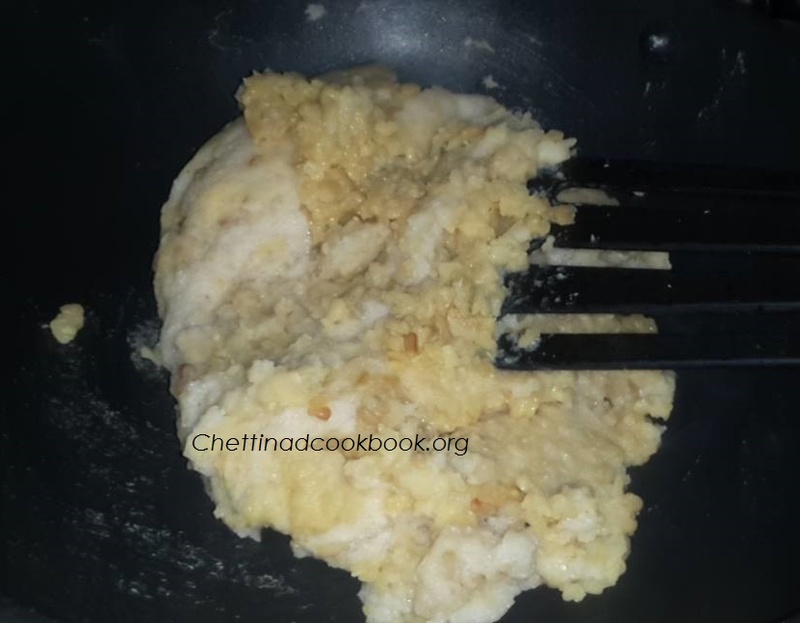 2.Fry Cashews and dry grapes in little ghee. 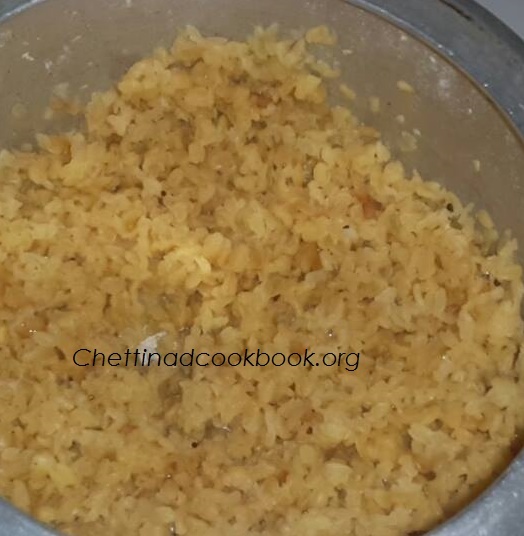 3.Fry moong dal till golden yellow allow it to room temperature, cook for 2 whistles in a pressure cooker or cook directly in a vessel, it should not get mashed check image below. 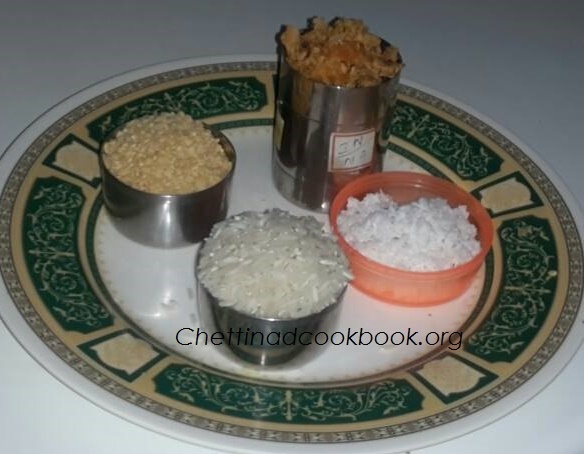 4.Grind raw rice, to a coarse powder.Like sooji rava. 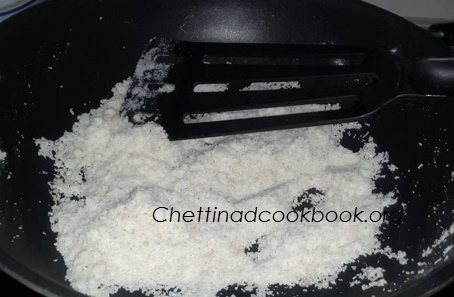 Add little ghee in a pan, fry golden yellow. 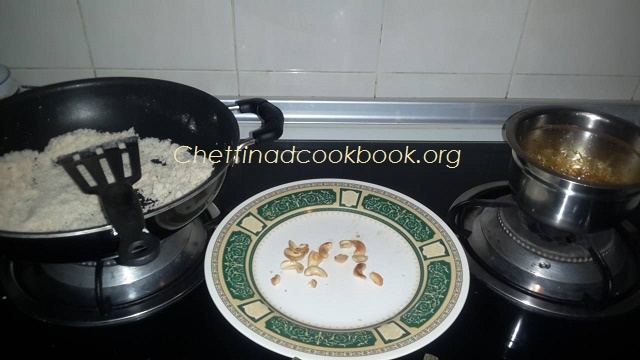 5.Boil 2 cups of water, add fried rice and Rava and cook till soft, in low flame. 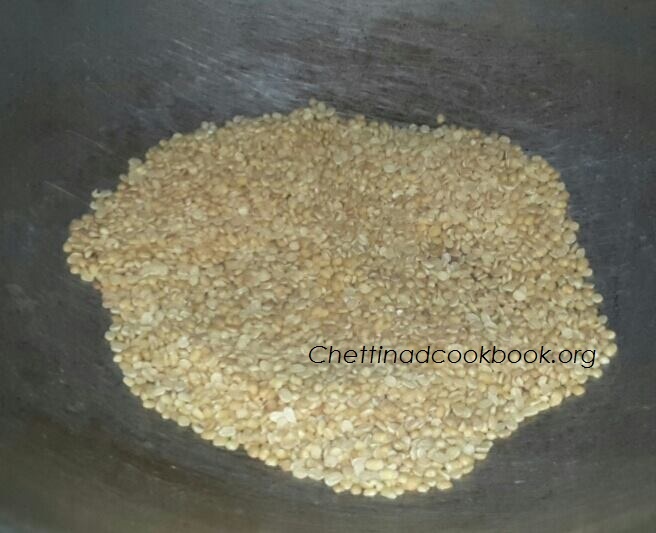 Add cooked dal to it and mix well in medium flame. 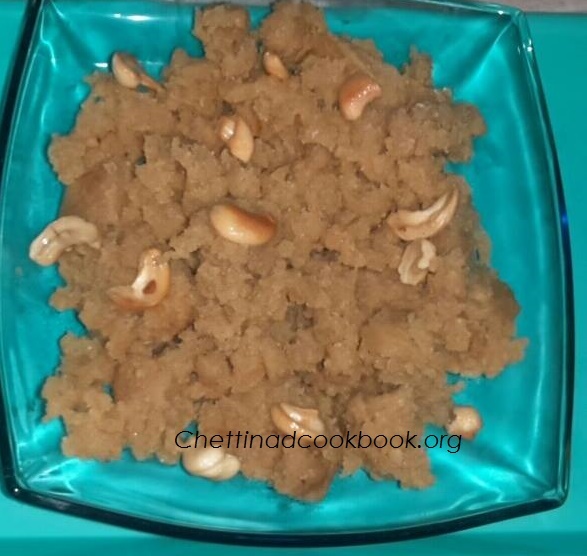 8.Sprinkle Elaichi powder, fried cashew and grapes mix well and serve,this can be store for two days if the preparation is followed properly.